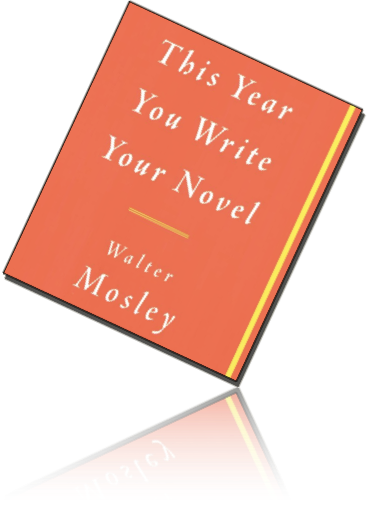 If you want a quick read (less than 25,000 words) and a basic how-to on writing, this book --This Year You Write Your Novel, by Walter Mosley, is for you. My favorite part was on dialogue and how it is meant to work overtime. That means every time a characters speaks they should be: “(1) telling us something about themselves; (2) conveying information that may well advance the plot (3) adding to the music or the mood of the scene; (giving us a scene from a different POV especially if the character who is speaking is not connected directly to the narrative voice); and/or (give the novel a pedestrian feel.” The trick is to have at least three or more of these elements in every dialogue exchange. Further he notes that the reader is always looking for two things in a novel: themselves and transcendence. Want more, check it out at your library.